Two attorneys at Black, Slaughter & Black have been named to the 2018 edition of U.S. News – Best Lawyers. Best Lawyers recognition is based on peer reviews and client recommendations. Barbara Morgenstern been recognized by Best Lawyers in the practice of Family Law as well as Family Law Mediation. Barbara has also been named a “Legal Elite” by Business North Carolina magazine and a North Carolina Super Lawyer for Family Law. She is a Certified Specialist in family law by the NC State Bar, a Fellow of the American Academy of Matrimonial Lawyers, Past President of the NC Chapter of the American Academy of Matrimonial Lawyers, Past Chair of the Family Law Section of the North Carolina State Bar, and Past Chair of the NC Family Law Specialization Committee. 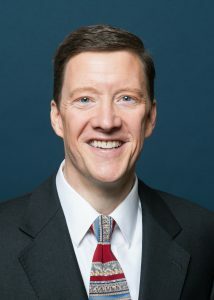 Jim Slaughter has been recognized by Best Lawyers in the practice of Community Association Law as well as Real Estate. He has also been named a “Legal Elite” by Business North Carolina magazine and a North Carolina Super Lawyer for Real Estate. Jim was the first North Carolina attorney inducted as a Fellow into CAI’s College of Community Association Lawyers and served as the College’s 2014 national President. Since its inception, he has served on the NC Bar Association’s Community Associations Committee and is past President of the NC Chapter of the Community Associations Institute. Jim is the first (and only) attorney in North Carolina named to Best Lawyers in the area of Community Association Law (homeowner and condominium associations). For more information, visit the firm’s Best Lawyers page. This entry was posted in Family Law, HOA & Condo Associations, Parliamentary Law, Real Estate by Administrator. Bookmark the permalink.